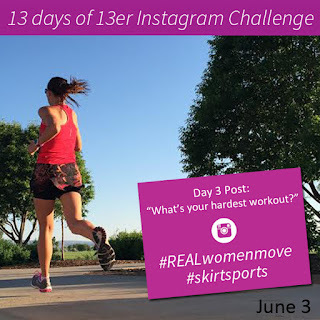 Skirt Sports 13er and the #13Daysof13er Challenge! 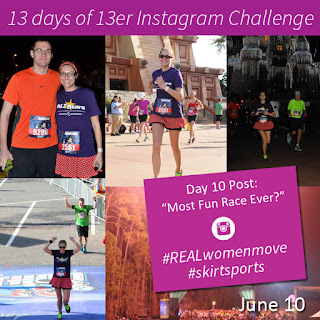 Skirt Sports had their 13er (Half Marathon) this past weekend! 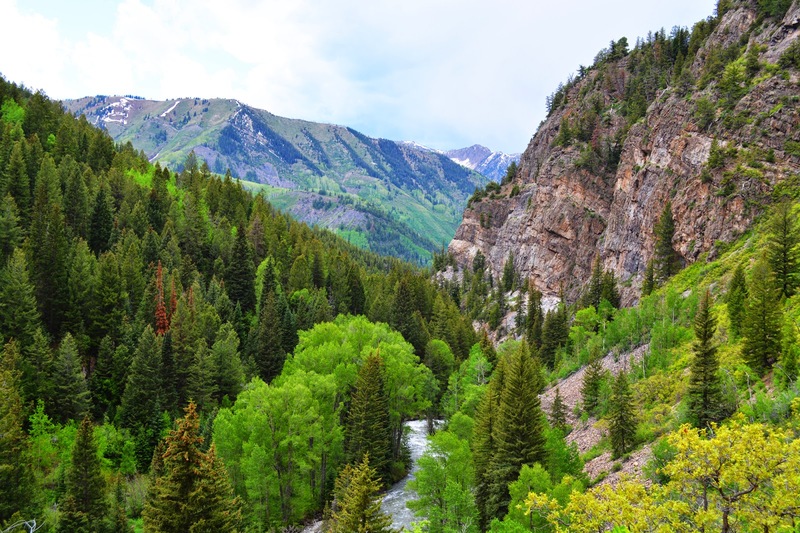 They had both a local race in Colorado and a virtual race that you could run on your own and still get all of the great swag. It would've been a lot of fun running it local (and I saw all of my fellow ambassador's photos - it seriously looked like a blast!!! ), but the timing was just not good for me - I had a pretty crazy weekend in two different states - the first half of the weekend I was in Kansas City for my grandparent-in-law's 60th wedding anniversary party (60 years - how cool is that!?! ), and then early on Sunday morning I flew to Chicago for a work trip Sunday night thru today. It was very busy and I got very little sleep - but it was all a lot of fun and worth it! 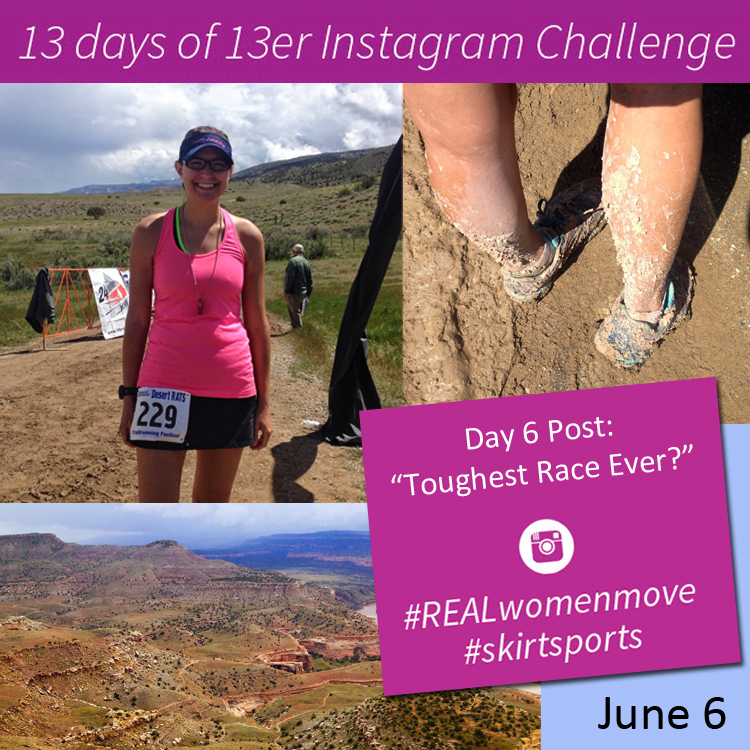 Despite the craziness, I did manage to have an extra few hours on Sunday, so I could squeeze in my Skirt Sports 13er! I made the best out of it by using the time to explore Chicago, which was pretty cool (there's a good chance that I literally took a million pictures). 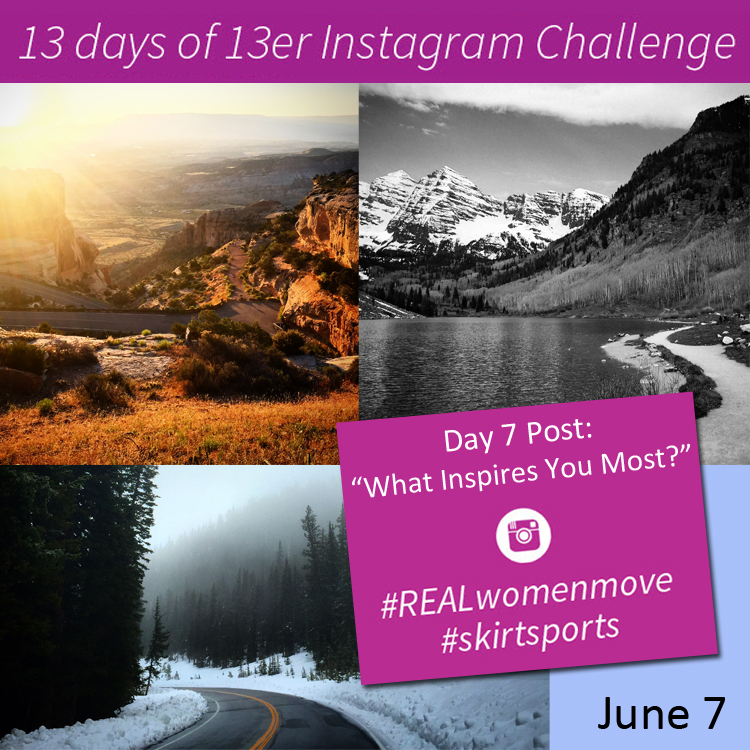 I'll be recapping that in a bit, but before that, I wanted to also share my posts for the #13Daysof13er Instagram Challenge. 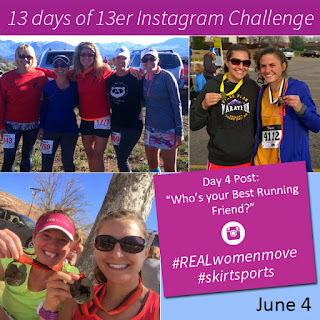 Since the 13er was on the 14th of the month - Skirt Sports came up with this cool challenge to share pictures and posts in the 13 days leading up to race day! 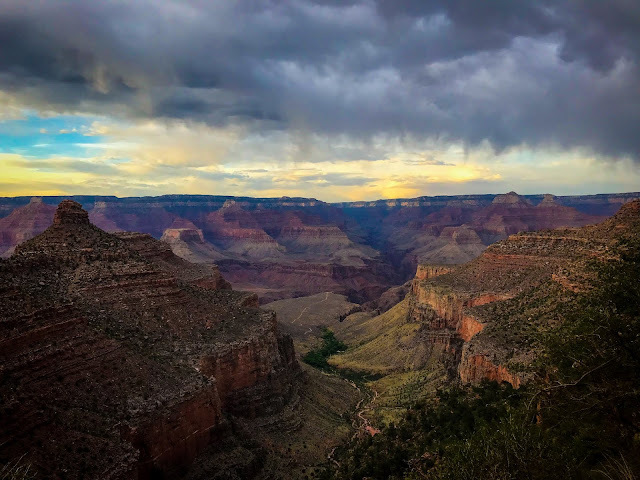 I ended up having a lot of fun with it, so I thought I'd just share it on my blog as well for anyone not on Instagram (although - you really should be - it's only the best form of social media out there ;). 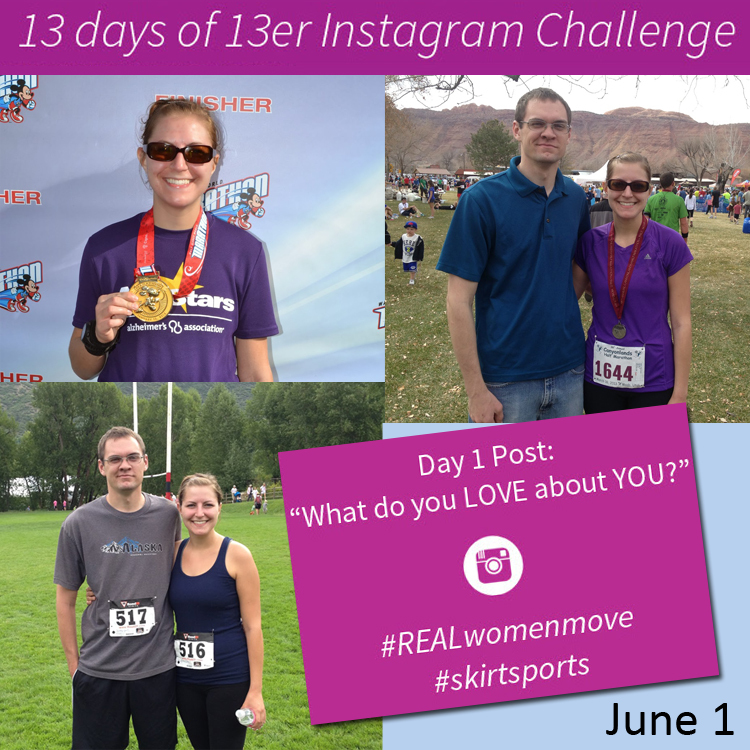 Day 1 of the @SkirtSports #13DaysOf13er challenge: What do you LOVE about YOU?" Day 2 of the @SkirtSports #13DaysOf13er challenge: Who is your role model? Day 3 of the @SkirtSports #13DaysOf13er challenge: "What is your hardest workout?" 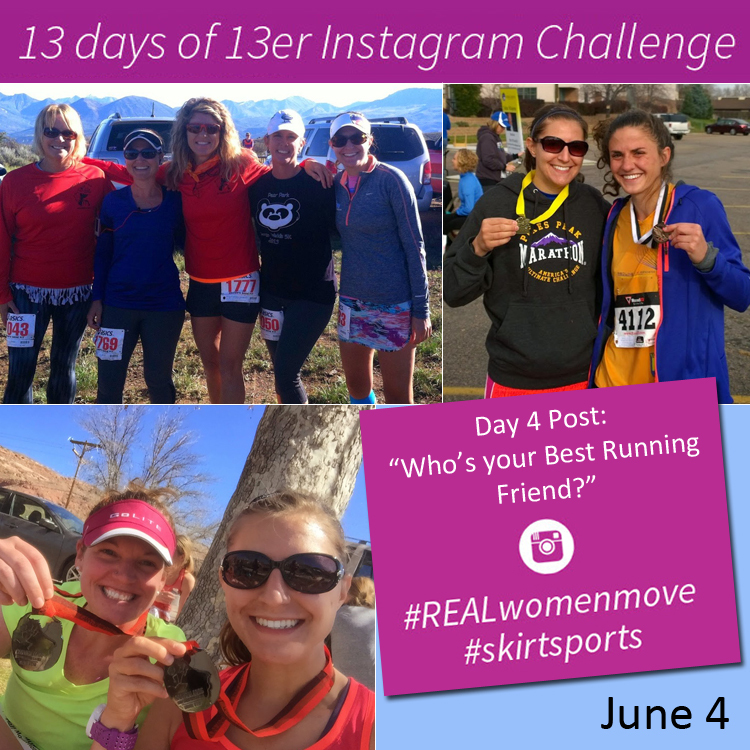 Day 4 of the @SkirtSports #13DaysOf13er challenge: "Who is your Best Running Friend?" 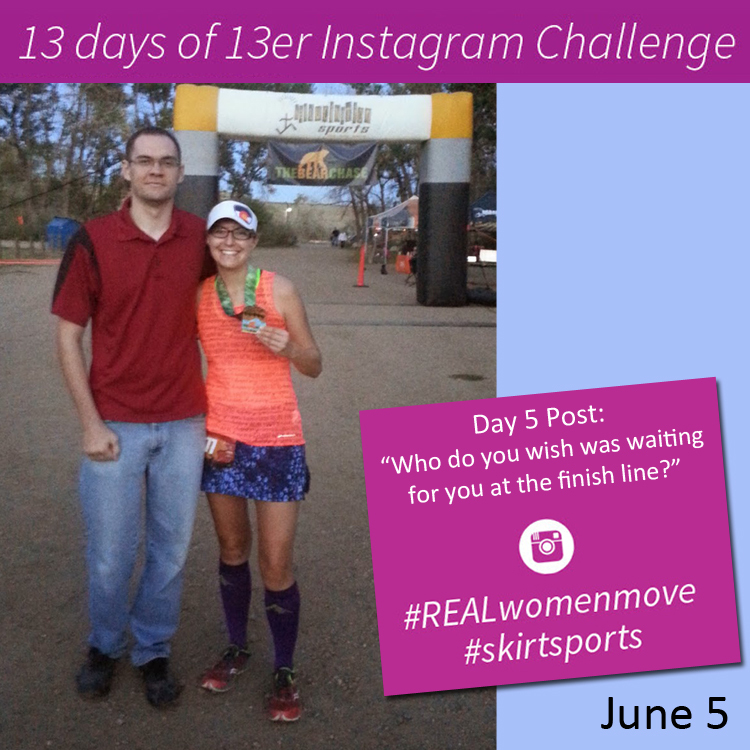 Day 5 of the @SkirtSports #13DaysOf13er challenge: "Who do you wish was waiting for you at the finish line?" Day 6 of the @SkirtSports #13DaysOf13er challenge: "Toughest Race Ever?" 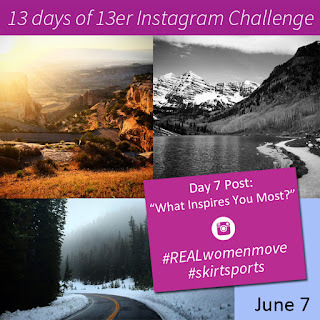 Day 7 of the @SkirtSports #13DaysOf13er challenge: "What Inspires You Most?" 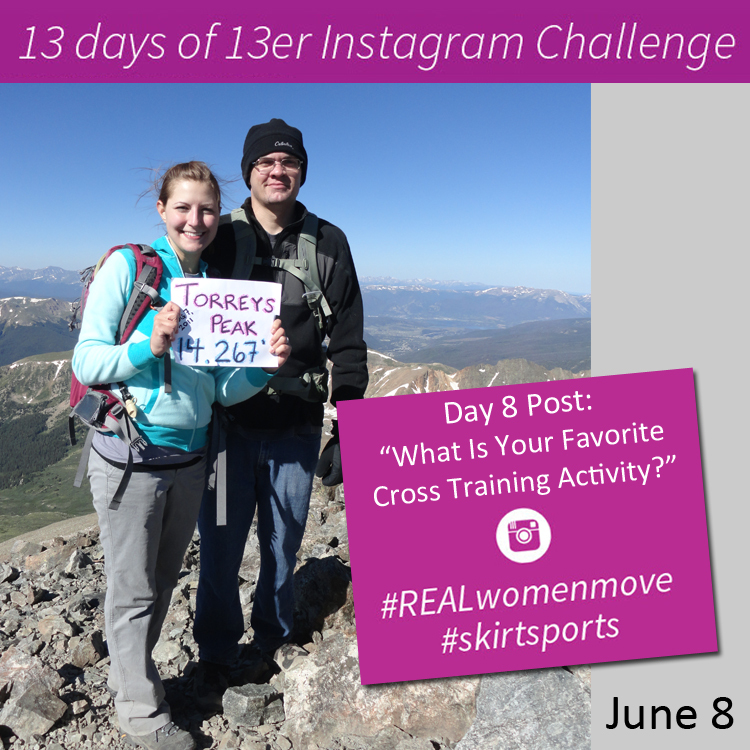 Day 8 of the @SkirtSports #13DaysOf13er challenge: "What Is Your Favorite Cross Training Activity?" 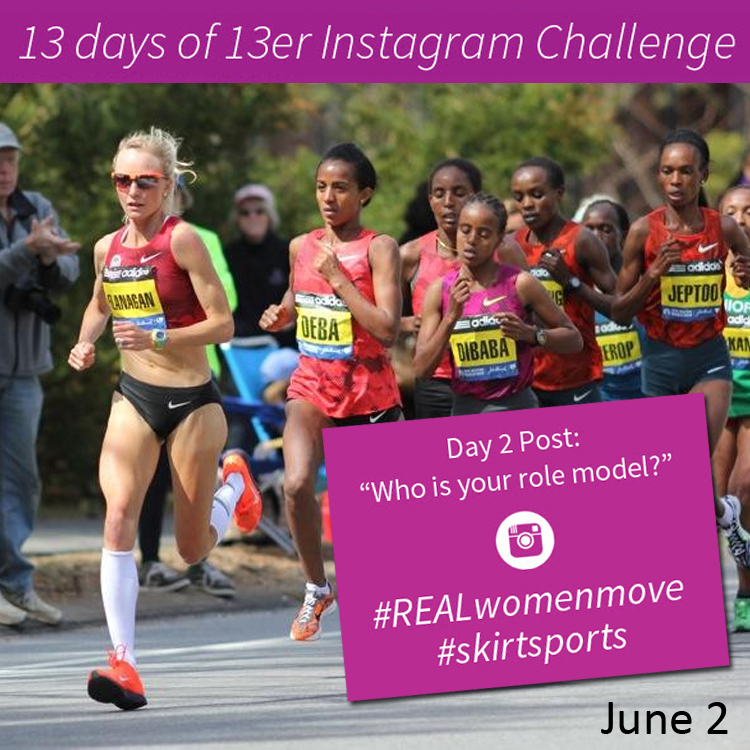 Day 9 of the @SkirtSports #13DaysOf13er challenge: "Flat Kate" / What's your favorite race outfit? Day 10 of the @SkirtSports #13DaysOf13er challenge: "What has been your most fun race ever?" Day 11 of the @SkirtSports #13DaysOf13er challenge: "What goes through your mind at mile 10 of a 13er?" 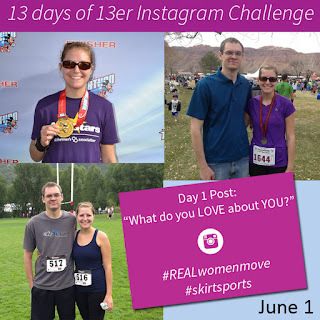 Day 12 of the @SkirtSports #13DaysOf13er challenge: "What is your favorite post-race treat?" Day 14 of the @SkirtSports #13Daysof13er challenge: Run a 13er! 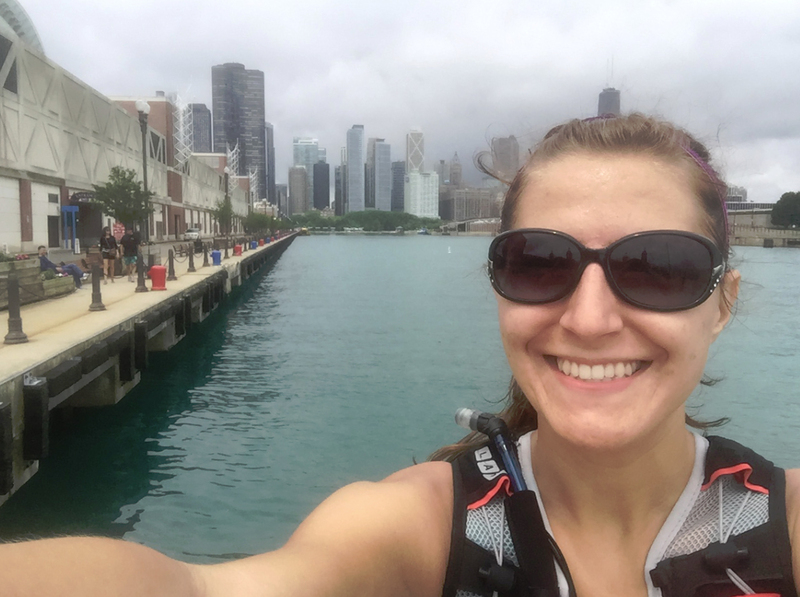 This path extends from the Lakefront Trail out along Lake Michigan around the Planetarium. 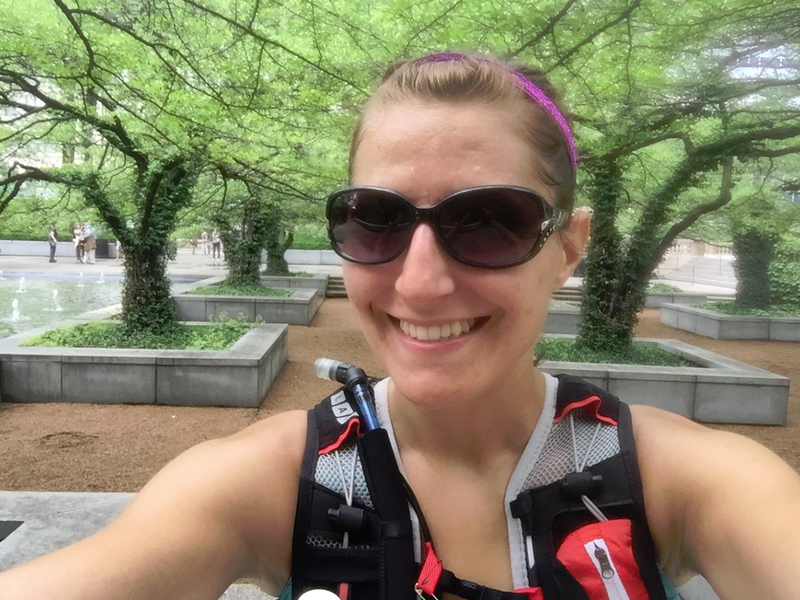 Up close selfie with "The Bean"
Far away selfie with "The Bean"
After finishing my 13er, I grabbed lunch and then headed to the condo we were staying at. It had SPECTACULAR views, so I sat out on the balcony enjoying the views, the weather and my new finisher's skirt (it is SO comfy)!